“When and How – Selling Your Public Relations Firm” by Art Stevens has been published this week. Mr. Stevens is managing partner of The Stevens Group and formerly the founder and CEO of LobsenzStevens, a top twenty independent public relations firm. 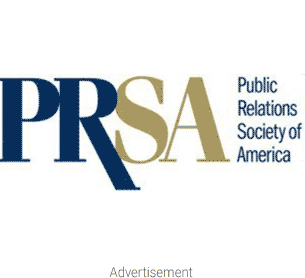 The book consists of blogs Stevens has written for the past several years for PRSA’s online publication, Tactics. The book covers every facet of selling a PR agency from the moment an agency is created until the day the owner considers future options. According to Stevens the book will be given free of charge to any U.S. pr agency owner who requests it. “As a former PR agency founder and owner myself, I understand the mindset of agency owners. I have personally lived and breathed every issue that comes up in the running of a PR agency business,” Stevens said. Stevens’ firm was acquired by Publicis in 2000 and he went on to manage the New York office. Since 2003 he has been facilitating mergers and acquisitions in addition to consulting with PR agency owners on running their businesses. The book features such subjects as what you need to know about getting acquired, an agency owner’s self “sell” test, today’s acquisition landscape and why a buyer’s vision must align with a seller’s. The book is endorsed by such PR agency principals as Richard Edelman (Edelman), Peter Finn (Finn Partners), Jim Weiss (W2O Group), Florence Quinn (Quinn and Company), Andy Hardie-Brown (Allison and Partners), Harold Burson (Burson Marsteller) and Steve Cody (Peppercomm). The book will be available in a quality paperback version as well as through Amazon.